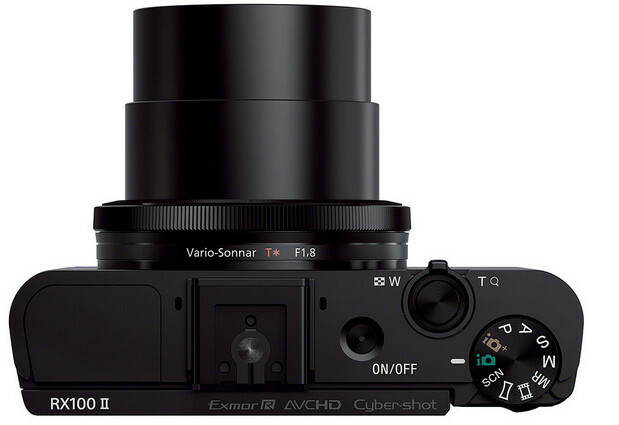 Sony has announced the follow up to its well received enthusiast-attracting Cyber-shot DSC-RX100 compact camera in the shape of the RX100 II. The updated compact comes with a new 20.2 megapixel back-illuminated Exmor R CMOS sensor which Sony claims is going to really show off its worth in low light, promising 40% more sensitivity. Billed as the ‘world’s first compact fixed-lens camera with a 1.0-type 20.2 effective megapixel sensor,’ when it launched this time last year, the camera features a Carl Zeiss Vario-Sonnar T zoom lens covering a versatile 28-100mm range at F1.8 (Wide) – 4.9 (Tele). The 3-inch WhiteMagic LCD around the back now opens up more shooting opportunities by being articulated, swivelling through (84 degrees up, 45 degrees down). Another neat touch is the addition of a Multi Interface Shoe, which lets users stick on an external flash as well as an electronic viewfinder or stereo microphone, while video performance has been ramped up to full HD 24p/25p movie recording. It’s a well connected wee thing too, packing both Wi-Fi and NFC capabilities, making one-touch photo transfer between camera and smart devices possibly. The RX100 II forms an attractive alternative to the Ricoh GR, with both cameras having their pros and cons: the RX100 II offers far more features (zoom, wi-fi, NFC, wide f1.8 aperture etc) while the GR’s sublime UI and far bigger sensor (23.7 x 15.7mm versus 13.2 x 8.8mm) are probably enough to keep it the compact camera we crave the most. 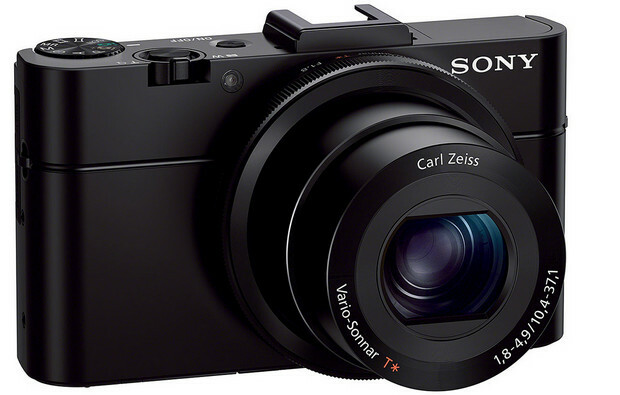 The RX100 II measures up at a compact 113 x 65 x 70 mm (4.45 x 2.56 x 2.76″) and weighs 482 g (1.06 lb / 17.00 oz). It will be available next month for a very competitive £650/$750 – see an early hands on preview here. 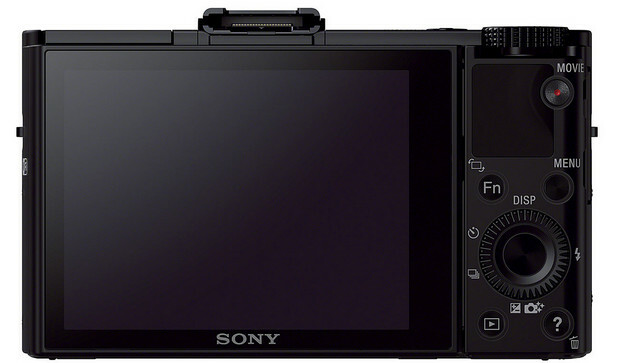 The new Cyber-shot™ RX100 II from Sony puts even more shooting power in your pocket. Sleekly styled in strong but light aluminium, it’s a perfect travel partner for quality-conscious photographers who want DSLR-style images from a pocket camera with generous control options. Building on the superb picture quality of the multi-award winning RX100, the new camera now delivers even better results if you’re shooting indoors or at dusk without a flash. The newly developed back-illuminated Exmor R™ 1.0-type CMOS sensor increases sensitivity while reducing picture noise in tricky low-light scenes. Combined with the exceptional f1.8 Carl Zeiss Vario-Sonnar T* lens, you’ll see the difference with exceptionally crisp, natural stills and Full HD video in any shooting situation – from parties after dark to night-time landscapes. Wi-Fi makes it easy to connect the camera wirelessly with your smartphone and transfer photos or videos for easy sharing. It’s also the first ever camera from Sony with NFC (Near Field Communication), giving the extra convenience of One-touch connection with Android smartphones and tablets. There’s no set-up needed – simply touch your mobile device against the RX100 II and a wireless connection is made instantly. One-touch Remote even lets you trigger shutter release from your smartphone — great for group shots when you don’t want to be left out of the action. The camera’s enthusiast appeal is further enhanced by a new Multi Interface Shoe and Multi Terminal. Expand your photographic possibilities by attaching optional accessories – including an electronic viewfinder, powerful external flash and stereo microphone – via the versatile Multi Interface Shoe. The Multi Terminal also allows the addition of other options such as a shutter-release remote controller. The bright, detail-packed 3.0-type White Magic™ LCD now tilts up and down , giving greater freedom to compose shots in comfort. Hold the camera high up to reach over crowds, or get down low and see things from the perspective of pets and children. Compatibility with TRILUMINOS™ Colour technology ensures even richer, more natural colour reproduction with the new generation of BRAVIA televisions featuring TRILUMINOS™ Display. Full HD video modes are expanded with the addition of 24p/25p shooting for smooth, cinematic movies. Other refinements include a step zoom function that’s accessible via the camera’s customisation menu. Instantly choose from five popular focal lengths using the control ring – 28mm, 35mm, 50mm, 70mm or 100mm. It’s an intuitive alternative to zooming in and out when you’re in a hurry. The PlayMemories Mobile app has been updated to enable the one-touch capabilities of the RX100 II, and also now features an enhanced user interface. It is available now for free from the Google Play store for all Android smartphones. 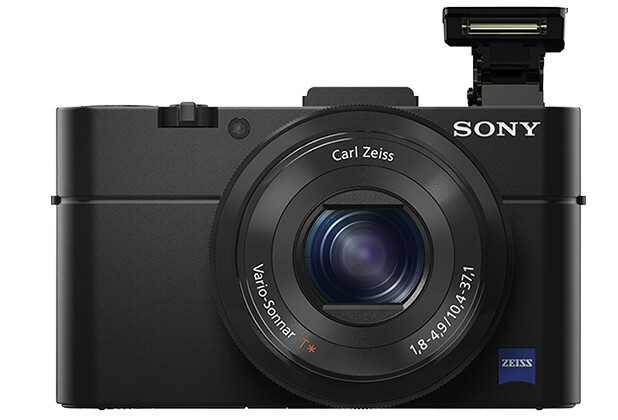 Introduced in June 2012, the Cyber-shot™ DSC-RX100 is the world’s first compact fixed-lens camera with a 1.0-type 20.2 effective megapixel sensor. 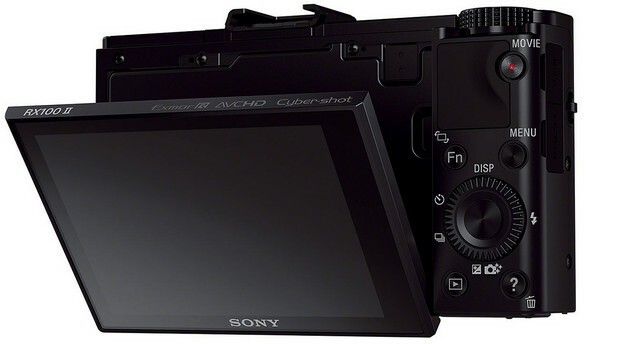 The new Cyber-shot™ DSC-RX100 II digital compact camera from Sony is available to pre-order in the UK from http://www.sony.co.uk/RX and is generally available in Europe from mid-July 2013.